InSanity lurks Inside: Rumor Alert- Busch Gardens Tampa considering a Hyper Coaster?! Rumor Alert- Busch Gardens Tampa considering a Hyper Coaster?! Today Screamscape has reported an interesting new rumor coming from Busch Gardens Tampa. It seems that members of the parks engineering department made a little visit over the weekend to Canada's Wonderland amusement park. While normally this wouldn't be interesting, it's worth noting because Canada's Wonderland has something very famous sitting in their park. It's something very tall, very fast and deliciously fun that's also built by B&M coasters. A company that Busch Gardens has an excellent working relationship with. 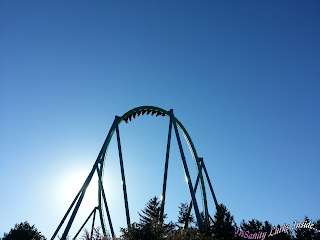 Canada's Wonderland is home to Leviathan, a B&M answer to Cedar Point's Millennium Force. It stands just 4 feet shorter and 1 MPH slower then it's Ohio cousin. Could Busch Gardens be considering a B&M Hyper Coaster for their Tampa park? There is also another possibly which Screamscape didn't address in their rumor. Canada's Wonderland is also getting "Wonder Mountain's Guardian" which is an interactive dark-ride shooter style attraction. While Busch Gardens Williamsburg has a dark ride in "Curse of DarKastle" a shooter would be an interesting addition to the Tampa property which doesn't currently have a dark ride style attraction. 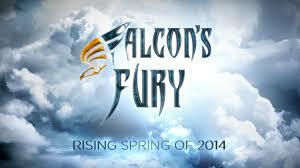 Personally I don't think we'll see this rumor come to light before the 2016 season simply because at the moment Busch Gardens Tampa is currently building "Falcon's Fury" a new style drop ride which will open in Spring 2014. Could this be the supposed replacement for when Gwazi finally goes offline in the future? While these are just rumors and some speculation on my behalf, we'll have to watch Busch Gardens Tampa closely to see what they have planned for the park's future.